Even if you exercise regularly and abstain from smoking, your heart could still be in trouble if you aren’t eating foods that nourish and support your body. Your diet choices become increasingly important as you get older and your heart becomes more vulnerable to health complications. Fortunately, there is the ketogenic diet. Rather than obsessing over every calorie, limiting each meal to impossibly small portions or trusting miracle trends that come and go, the keto diet makes it possible to use food to transform your health and enjoy real results. The ketogenic diet centers on the approach of changing the “fuel source” that your body uses to stay energized. Rather than burning glucose (sugar) for energy, the keto diet helps you make the shift to burn dietary fat and your own body fat. 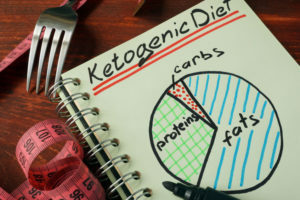 Sticking to a keto diet involves a low-carb, high-fat method of eating that allows you to embrace calories rather than cutting them. Salmon, avocado, olive oil, and almonds are all important staples of the keto diet. You simply make strategic and wholesome food choices to lower your risk factors for heart disease – no more cutting calories or surviving on salads! Thanks to its heart healthy properties, the ketogenic diet makes it possible to change, improve, or totally eliminate factors that are known to support the development of heart disease. Just by adjusting your eating habits to accommodate the keto approach, you can enhance and safeguard your health for many years to come. Studies continue to provide proof that adhering to the keto diet will improve heart health and overall wellness. Of course, it also leads to weight loss, which further enhances your health! Call (941) 747-8789 to schedule your appointment at Cardiovascular Solutions Institute today. You’ll get the professional support you need to stick to the keto diet and enjoy the benefits of a healthier heart.